Got forests? Since 61% of Massachusetts is forested and 70% of forests in Massachusetts are family-owned, and over 45,000 landowners own 10 acres or more, there is a good possibility that you, or someone you know, might own a small or large forest. The next logical question is: Do you (they) know how to manage and protect it? Chances are… maybe, but maybe not. 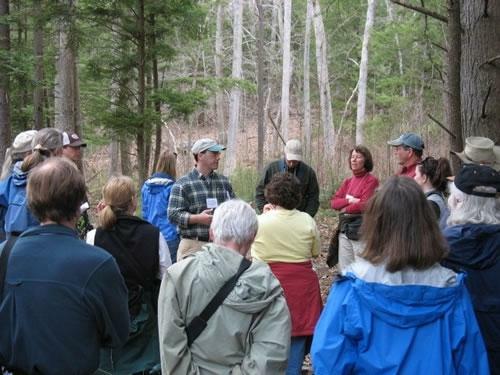 If you want to know how to protect and manage your land, consider signing up to join experts in Massachusetts for an information-packed training weekend each April with Professor Paul Catanzaro, held in the Harvard Forest in Petersham -- smack in the center of the state. Since 1988, hundreds of Massachusetts landowners have become responsible forest stewards this way, learning how to make thoughtful decisions about the land under their control. The Greater Worcester Land Trust is dedicated to preserving and protecting Worcester County’s critical open space, and has been for 30 years. Colin Novick, executive director, says, “We endeavor to acquire and maintain land for preservation of wildlife so that current and future generations can enjoy the mental and physical well-being provided by wilderness and our natural environment.“ GWLT achieves its goals through methods including: purchasing land of conservation interest, advising landowners regarding estate-planning benefits of land preservation, and accepting gifts of land. When asked what helped him get traction in the world of land trusts, Novick is quick to credit the training he received at Keystone Cooperators 20 years ago. Novick’s connection with the Keystone Project started in 1997 when he was involved in a forest improvement project. He noticed a mailing about Keystone training. He applied, was accepted, and got a firm foothold at the start of his career. 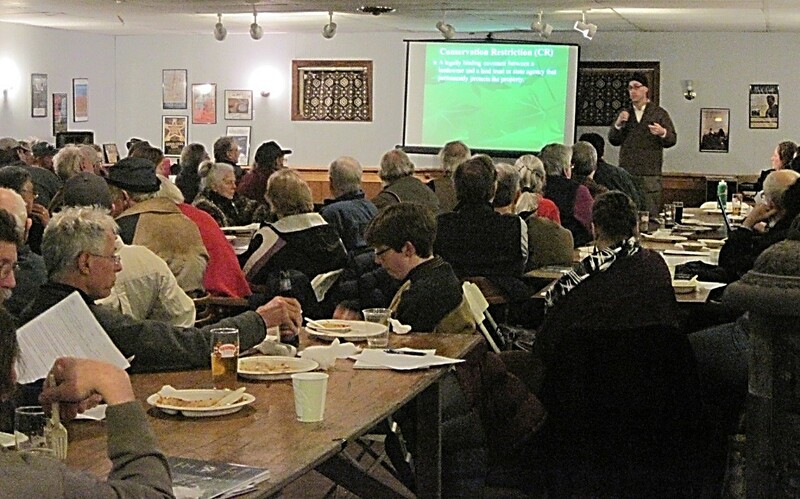 Novick says, “The Keystone Cooperator course has informed everything I have done since on land trusts. It has given me an entire framework of how to look at land with the perspective of planning at least 70 years out. Now, when we conserve a piece of land, we embed the Massachusetts Forestry Best Management Practices right into the official document,” referring to a document developed by UMass Amherst faculty Dave Kittredge and Paul Catanzaro and Jennifer Fish, Massachusetts Department of Conservation and Recreation (DCR). Novick’s approach to planting trees on conserved land has also been influenced by Keystone, with climate change at the top of the list of considerations. For example, a changing climate means that hemlock and maples are not going to do well. Some coniferous trees are already suffering from insect and parasites, so they are taken off the list. However, oak, hickory and white pine will have an easier time. Harry and Michelle Webb have lived on forested land full of wildlife abutting the Quabbin Reservoir for 43 years. “You name it, we’ve got it.” Harry has witnessed a moose family, bull, cow and calf, out for an early morning walk. He has watched two bucks battling it out with each other, and he has observed wild turkeys trotting around open fields. Heeding his Keystone training, Webb created a forest management plan in 2013 with the help of consulting forester Mike Mauri. He says Mauri provided a ten-year overview of work that needs to happen in order to manage and keep his 140-acre forest healthy. That includes cutting and harvesting select trees, thinning undergrowth and removing invasive species (bittersweet, multiflora rose and honeysuckle). The experience of going through three tree harvests has given Webb a solid base knowledge of forest management. Most of the trees he has harvested have been sold as logs to local sawmills. Mauri also advised the Webbs to mow certain areas to keep them open but to leave old apple trees, winterberry and other shrubs as shelter for wildlife. Webb has had assistance, advice and some funding from Massachusetts Fish and Wildlife and USDA to help ensure that wildlife habitat improvements take place. Over time, Harry and Michelle have turned down offers to develop parcels, preferring to keep their land undeveloped. 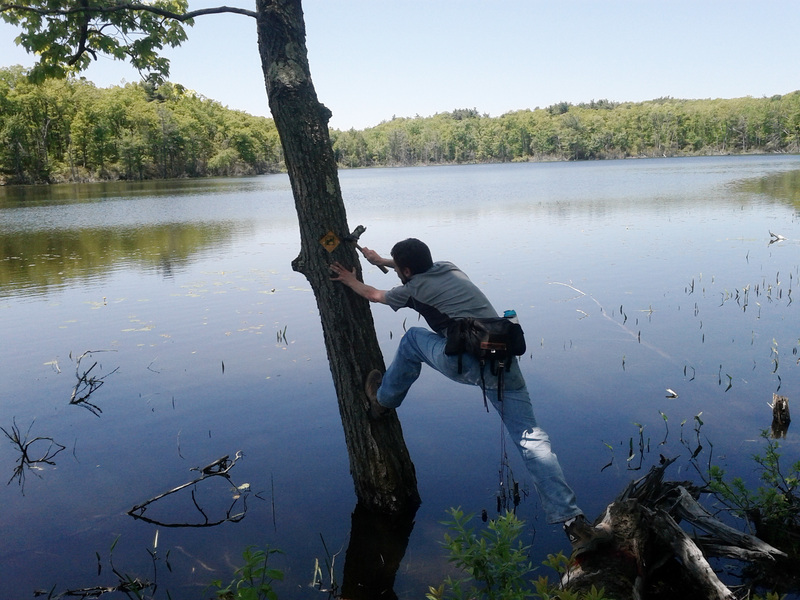 Harry Webb found that by becoming a Keystone Cooperator, he has gained a better understanding of all aspects of land ownership from wildlife to forest management. The Webbs have donated many acres of land through conservation restrictions they learned about at their Keystone training. 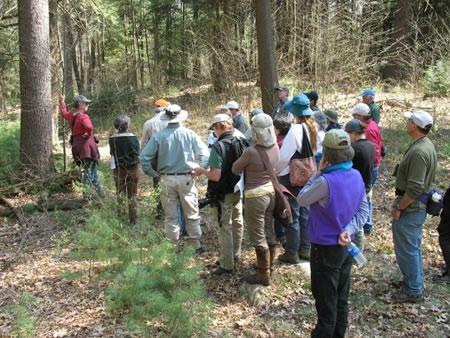 Harry is active in the East Quabbin Land Trust and volunteers to lead field trips on their land during annual Keystone trainings. For her part, Michelle Conte Webb is carrying forth a rich legacy of conservation. Her father, the late Congressman Silvio O. Conte, was a passionate environmentalist who represented Massachusetts in Congress for 32 years. To ensure the protection of the Connecticut River watershed, he introduced federal legislation establishing the refuge that now bears his name. 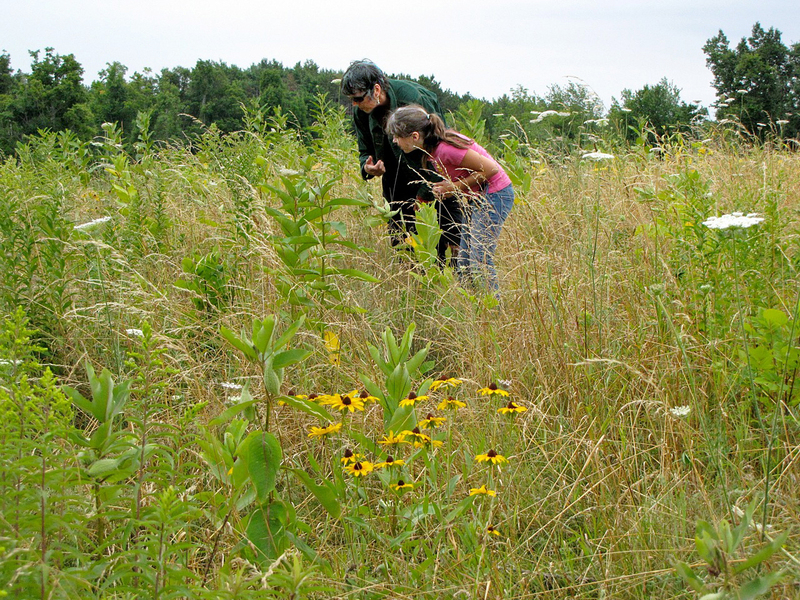 Enter the Keystone Project and Mount Grace Land Conservation Trust (MGLCT). In 2013, DCR forester Helen Johnson suggested they take the Keystone Cooperator training. Now, five years later, they have developed a plan they can live with. Putting together several parcels into one has given them a sense of validation and purpose at a critical time when they are focused on end-of-life planning. As Susie explains, “Obviously, our inherited land is special to our family and we want to keep it open and available. We have seen other families become divided over inheritances and we don’t want that for our children or future generations.” They searched for a balance of conservation and restriction and found some plans weighed more heavily towards one than the other. 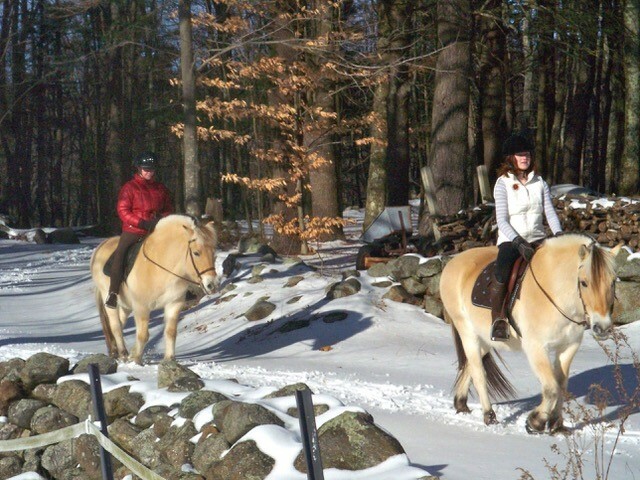 Visitors are encouraged to explore their land on foot, horse, or mountain bicycle. However, they do not allow motorized vehicles. Over the past few years, they have created miles of named trails, identified by both a map and wooden signs. 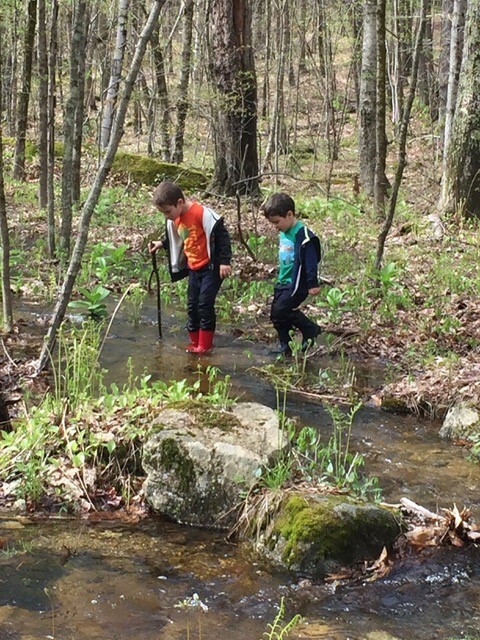 Recently, they established a two-mile “Forest Learning Loop” for young children. The loop is interspersed with tree facts an eight-year old can understand along with fanciful gnomes to keep little feet moving along the trail. Recent evaluations show that in a one-year period, Keystone Cooperators made contact with 15,033 people about forest conservation, and contributed 44,636 hours to conservation-related activities. This is equivalent of more than 22 full-time conservation positions. An ongoing active Keystone Cooperator network is maintained by Catanzaro who keeps graduates updated about topics of interest, such as forest resiliency or invasive species, through an email newsletter. Since Keystone Cooperators work within their communities, they can help their communities to make well-informed decisions about forest health in their own areas. One Keystone Cooperator summed up their experience in Keystone, saying “It made me appreciate the range of possible decisions a landowner can take in managing a forest and wildlife that inhabit it."